Manassas, VA– Guy Kawasaki is scheduled to speak on Wednesday, February 25, 2015, at the Digital Media Summit of the NRB 2015 International Christian Media Convention in Nashville, TN. 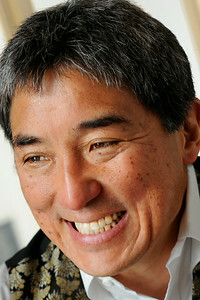 Guy Kawasaki is the Chief Evangelist of Canva, a graphics-design online service, and an Executive Fellow at the Haas School of Business at UC Berkeley. Formerly, he was an advisor to the Motorola business unit of Google and chief evangelist of Apple. He is also the author of APE, What the Plus!, Enchantment, and nine other books. Kawasaki has a BA from Stanford University; an MBA from UCLA; and an honorary doctorate from Babson College.